It's been a while since I participated in a blog challenge but I feel like giving it all a darn good try again! My first post for this challenge is April, what it has in store for us and why I love it! Nice and simple. Its the 2 week Easter holidays here and so far we're having a good time! There's a lovely family Easter lunch to look forward to and of course our Easter eggs! We also have a belated family meal out to celebrate two birthdays from March. One was my sisters who is now 21 but has only just managed to get home from university for a break. I can sense lots of happy mail happening this month! From book swaps to pen pal writing I'm looking forward to a busy post box this month. I'll be shortly getting little A's school report through which im very keen to read. I know he's come so far since starting nursery. Then we'll have his parent and teacher meeting too, exciting! Trevithick Day! This is a celebratory day in my local town which we look forward to every year. We see old steam engines, vintage cars, eat candy floss and enjoy local crafts plus rides. It's good fun! Also another local affair, the food festival in Porthleven which was a wash out last year. Here's hoping the weather is kinder so we can eat scallops, buy handmade items, listen to live music, experience the children's area and drink Cider. Ooo Err! Easter stories, eggs and the fun egg trails. Although it's still chilly, mostly the sun shines and I feel Spring sweep over me and the children when we're out. The Easter holiday mean lay ins! I've had one until 10 o'clock this week! What do you love about April? Joining in the A-Z Challenge? I'll be sure to visit you back, just leave me a link below! The thing I like most about April is the showers that bring May flowers, but this spring has been unusually warm and dry here in Utah. 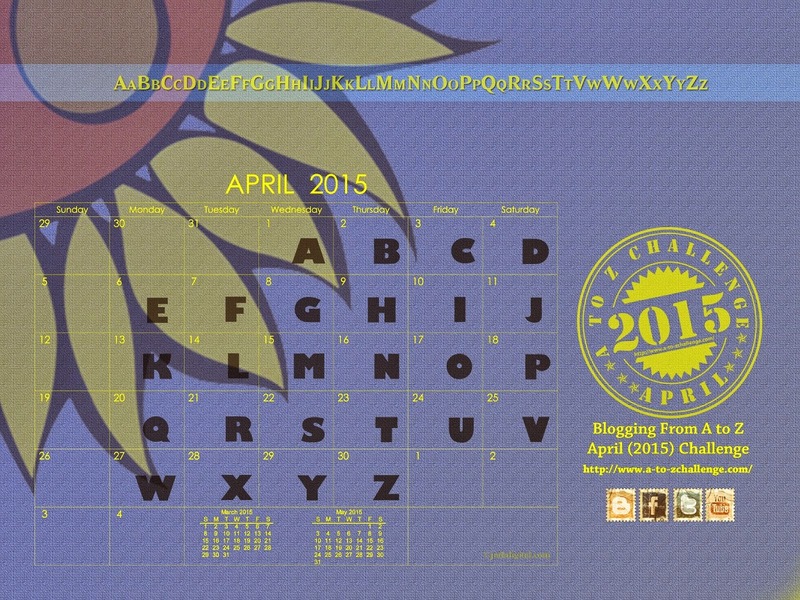 I also like the A to Z blog challenge. I haven't participated for a while so it feels good to connect with the blog-sphere again. Oh, those old trains and cars sound like a lot of fun to celebrate. Yes, Easter is a wonderful time of year. Here's hoping yours is marvelous. Thank you! I hope yours is too :) im excited to see the steam engines again they're beautuful thank you!